My first impressions of the burger were simple enough. 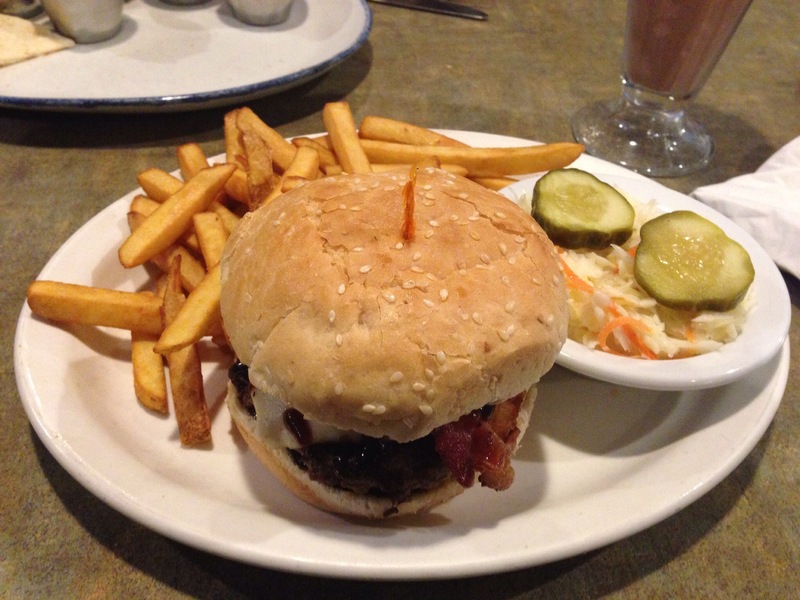 The burger appeared to be pretty well-contained, and all the components seemed to be cooked nicely. The bun fell into the “typical bun” category, which can go either way depending on the freshness. Overall, nothing really excited me about this burger initially, but I didn’t want to give up on it just yet. There were a couple of redeeming qualities to this burger, the first being the onion rings (no surprise coming from me). I also really liked the charred taste on the patty, and the beef that was used wasn’t too grisly and full of fat. I also liked how the burger held together really well, as there was minimal dripping, and no wandering toppings. Other than those few points, the burger kind of fell short for me. The BBQ sauce didn’t really do anything to add a boost of flavour that I was hoping for, which made for a somewhat bland taste overall. The bun, which is probably my biggest complaint of the burger, didn’t seem very fresh, and it even appeared to be hard it some places while being nice and soft in others. I didn’t necessarily hate this burger, but it definitely won’t be my new favourite. This burger costs $12.49, which I would say is a very typical price for a very typical burger. I don’t think I would order this burger again, but I’m willing to say that this price (and burger) would be reasonable for a recreational burger-eater, but not a die hard like myself. I’m a big supporter of the Athen’s breakfast/brunch (I love their omelettes), as well as the couple of Greek dishes I’ve had here. 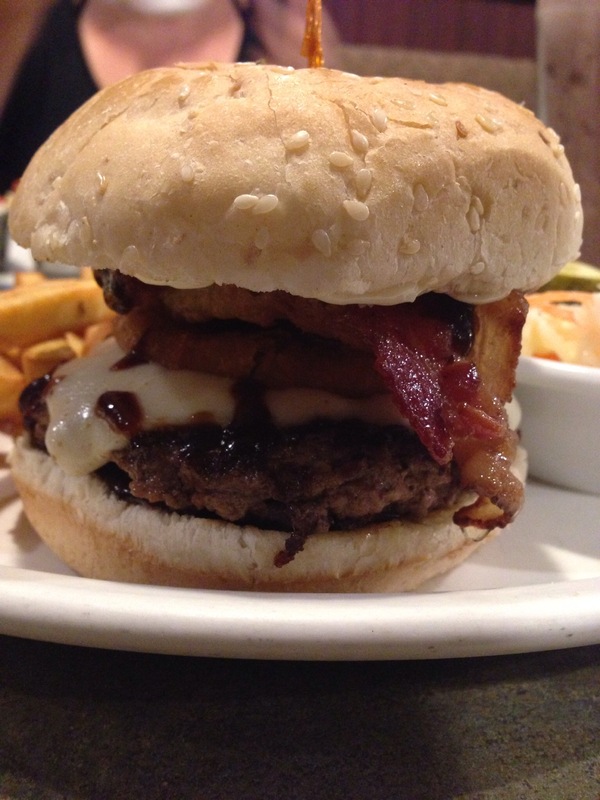 However, when it came to this burger, it missed the mark on a few different points. I can’t say I’m overly surprised, mostly because burgers are not their specialty. I understand wanting to appeal to as many different people as possible, but sometimes you just have to recognize your strengths and weaknesses. That all being said, I probably will make a return visit at some point to try their lamb burger, as that falls a bit more in their area of expertise.